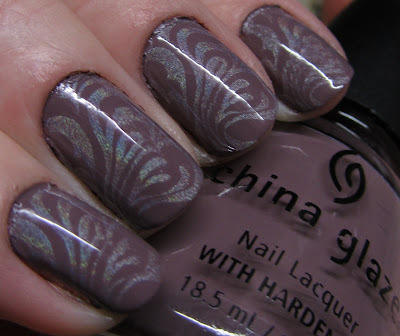 Holo purple and silver! I thought it fit perfectly for both events. 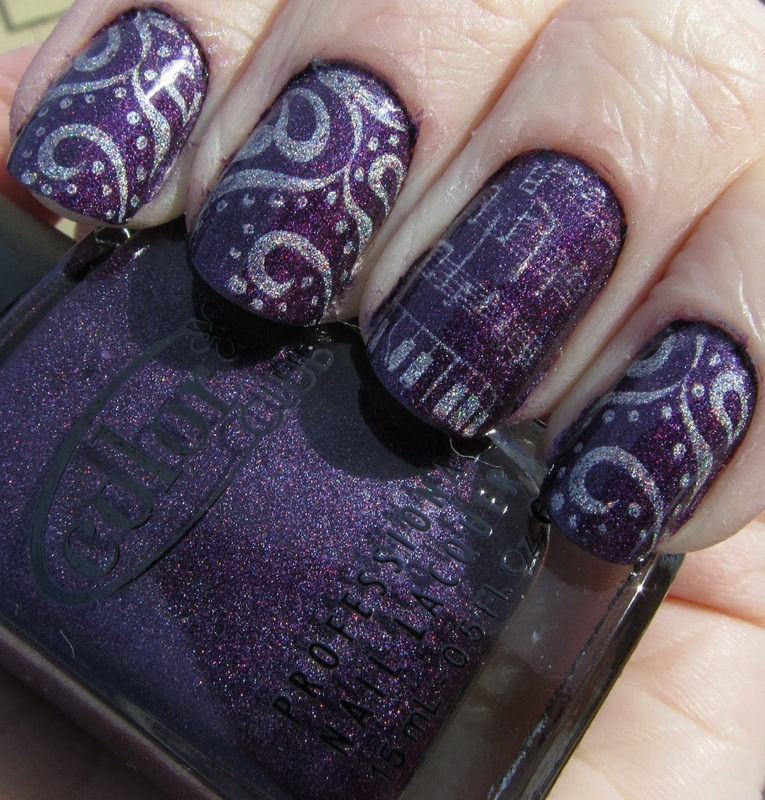 I started off with two coats of Color Club Wild at Heart, which is a gorgeous deep purple holographic. This was my first Color Club and I love it - this will probably be my new go-to K-State color. 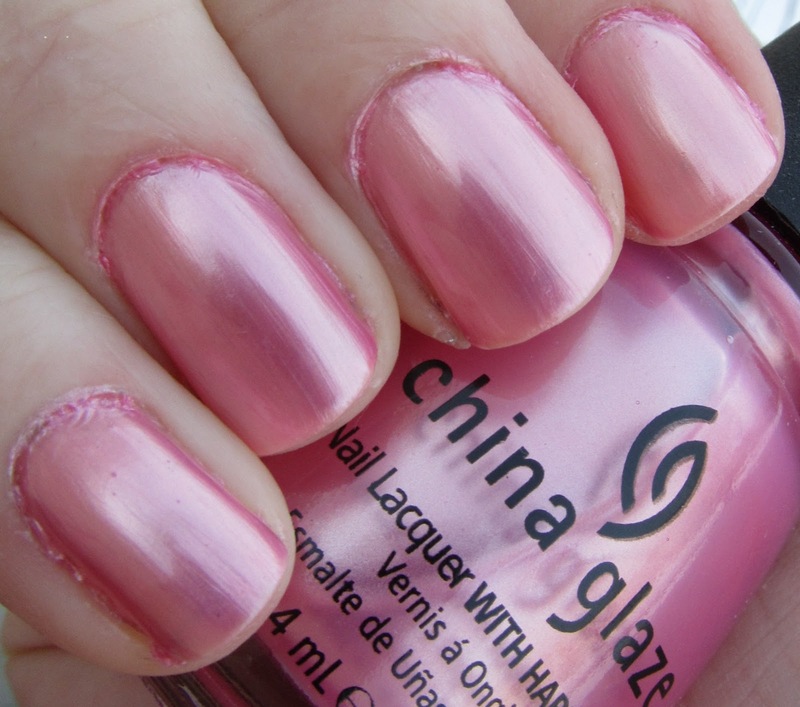 I was very impressed with the formula, covering excellently in two coats and with a very fast dry time. When I first put on OPI Not Like The Movies, I thought that it looked fairly similar to another polish I have, but hadn't gotten the chance to wear yet - Deborah Lippmann Wicked Game. 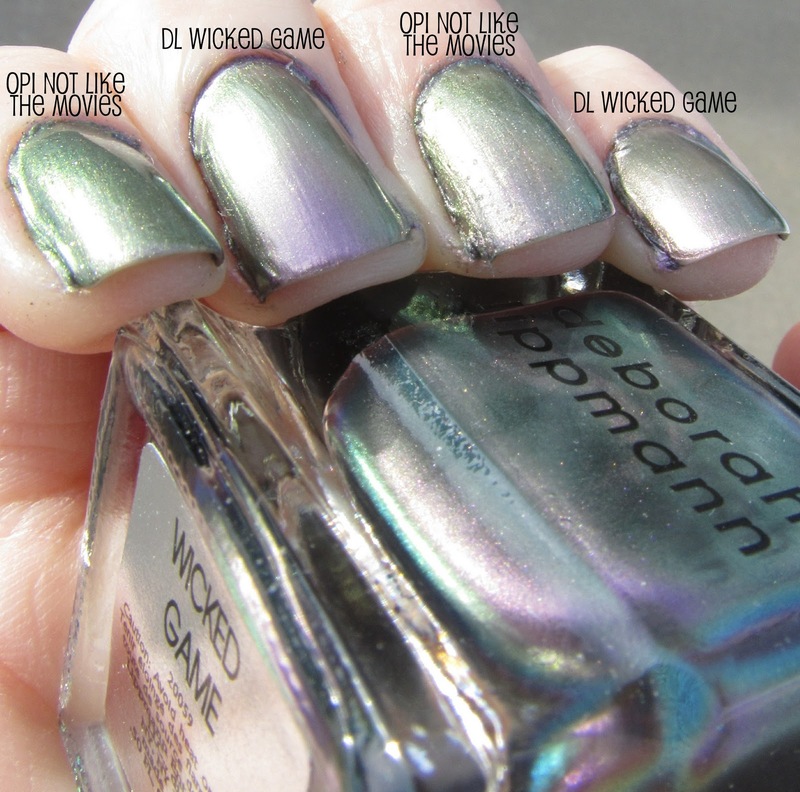 Both are a silvery purple polish with green duochrome, but just how similar are they? You can already see a difference in the bottle - Wicked Game is a bit more purple, while Not Like the Movies is a bit more silver in color. 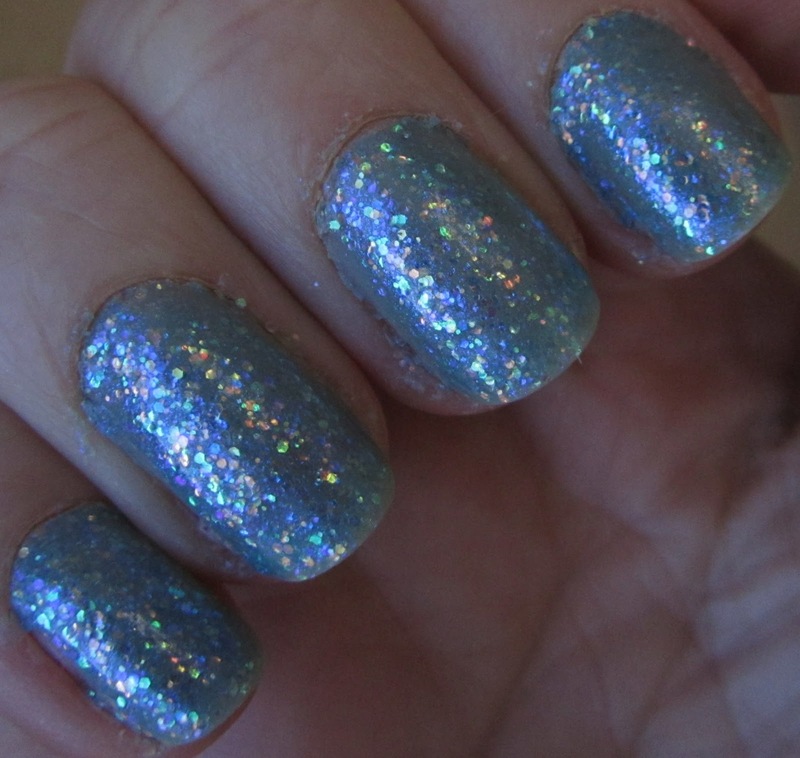 One clear difference is that Not Like the Movies has tiny bits of silver glitter throughout. 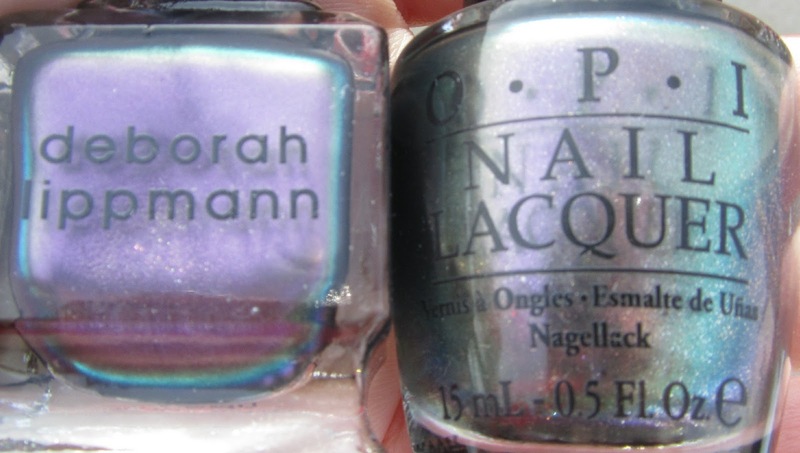 You can see on the nail, as in the bottles, that the OPI is a bit lighter and more silver, while the Lippmann has a stronger purple coloration to it. 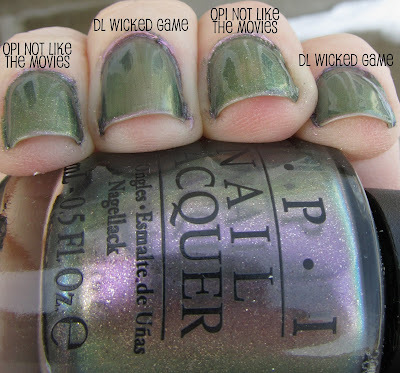 There is also a difference in formula - this is three coats of Wicked Game and four coats of Not Like the Movies. I also feel like the duochrome effect is just a tad stronger in the Lippmann polish, however the OPI does have a nice duochrome as well. 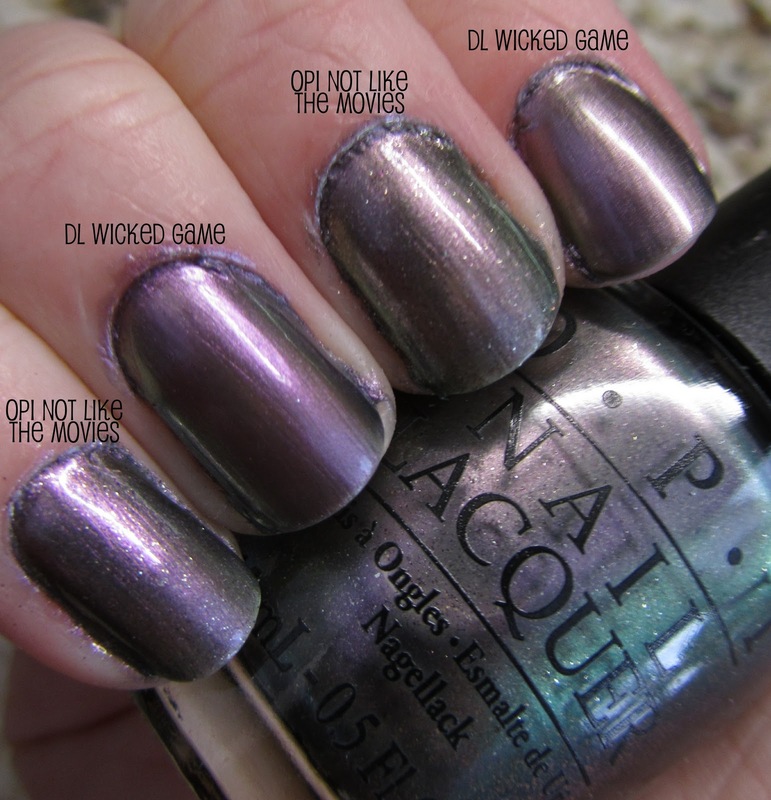 Overall, these polishes are similar but I would definitely not call them dupes. If you have always wanted Wicked Game but have found it to be a bit too pricey, I would definitely look into Not Like the Movies. However, if you already have one you might want to consider whether you really need the other or not. Both are really nice polishes though, and I am happy to have them! Do you like the new template, or did you prefer the old version? Do you like this font/text color? Would you prefer something more basic? Would you rather have the giveaways on the sidebar (as current) or on their own page (as they were over the Holidays)? You may also notice that there is a new header! I wanted to share a few "outtakes" from Luna's Polishology photoshoot! "Let me just see if I can cram this down in here..."
"Really, I have to keep playing? This enemy has been defeated"
... and our photoshoot was soon over. Hope you enjoyed the kitty photos! Sorry no pictures of Leo this time, he does not cooperate at all with things like this, haha. Let me know what you think of the new design! 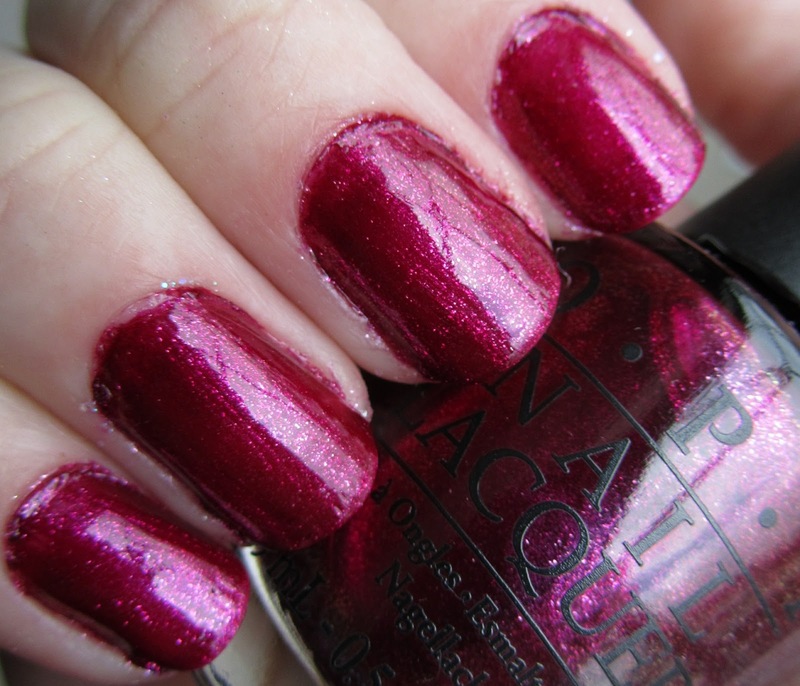 While this polish may be from a fall collection, I find it to be a really great color for just about any time of year! This is three coats of Zoya Penny, which is a really nice warm copper with a metallic finish. 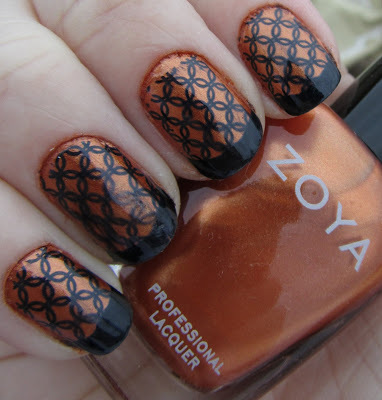 This would have done fine with two coats, but these days I always seem to want to apply one more coat. 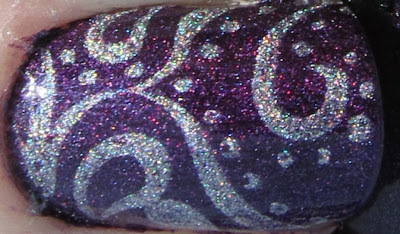 Application was great, although as with most metallic finish polishes there was just a hint of brushstrokes visible if you are really looking for it. Otherwise application was smooth with a fast dry time. Penny by itself shown below. I wanted to do a really classy design over this one, and went with Bundle Monster BM21 and Konad m19 with Konad Special Black. I really enjoyed how this turned out... until I bumped my ring finger into my other hand right after applying topcoat. I need to be more careful! However the mani still looks great from a normal viewing distance and I am really loving it! 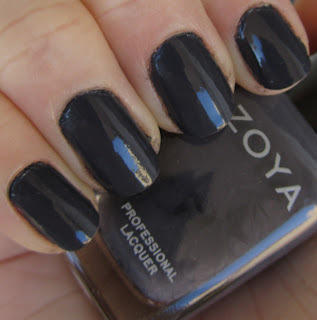 Another great one from Zoya; I am excited to try out some of the polishes from their Intimate collection, they should be arriving soon! This is a really gorgeous slightly shimmery lilac color. I really loved this pastel color, especially with the hint of shimmer! This polish was a bit on the sheer side, and took four coats to achieve opacity. 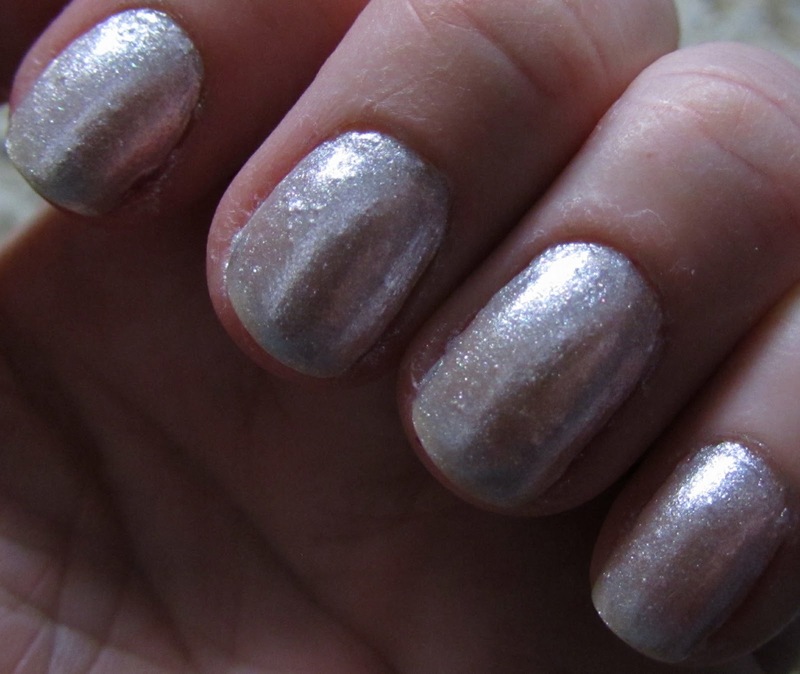 Due to my impatience, I had a bit of problem with some tip shrinkage since I allowed like.. no time in between coats here and saw the shrinkage after adding a fast-dry topcoat. Oops. Still totally gorgeous though! I wish I had taken a picture before the Konad, but it was late and I only would have had bad artificial lighting so this is it! 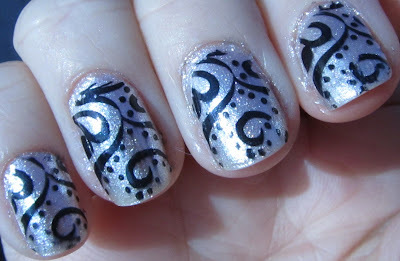 For the design, I used Konad plate m63 and Konad Special White. 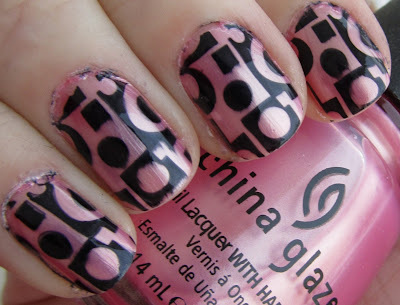 I love this patter - it really looks 3D. 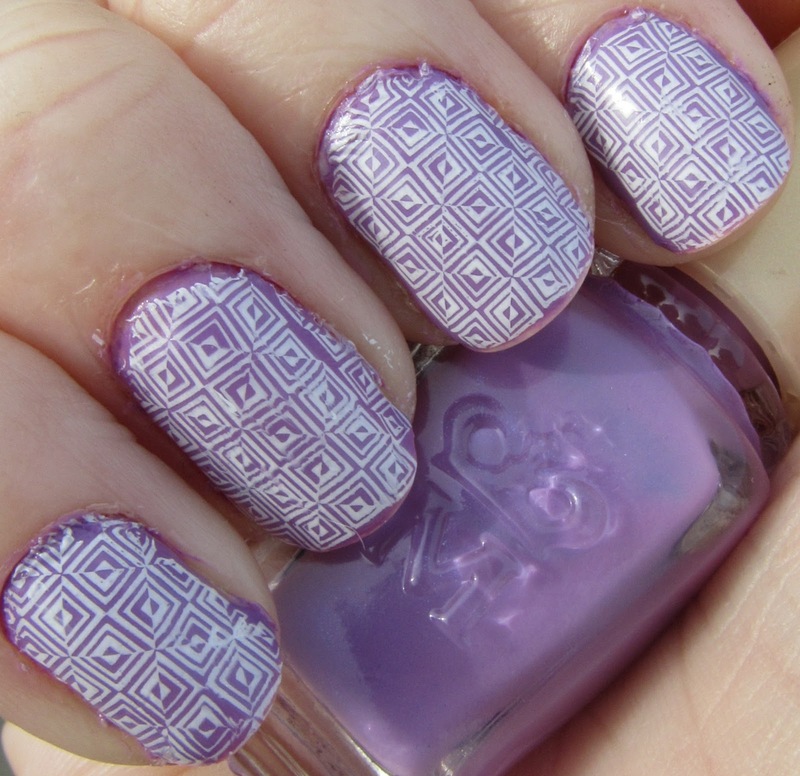 However it is a bit narrower than other full-plate Konad patterns, and I wished they had just added another row of the squares on the plate... but it is still a really cool image. 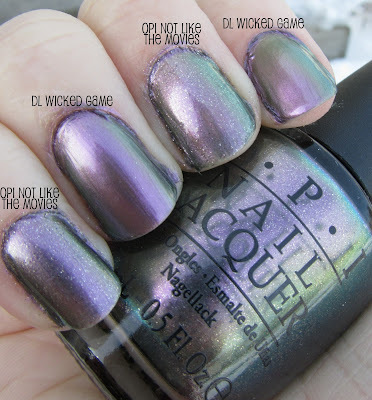 I have another Majolica Majorca polish from Becky as well, can't wait to try it! For Christmas, I got a lot of fun international polishes from my sister Becky, and I want to share one of those with you today! 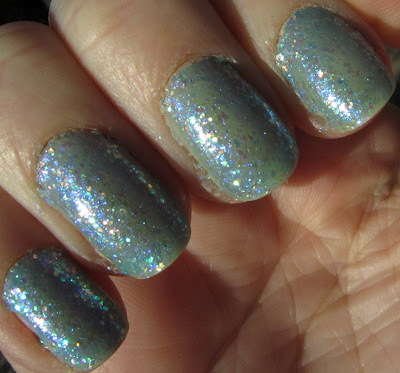 This shows how light the polish is but also seems to take away some of the sparkle.. it really was more in between these two pictures somewhere. I found this one hard to photograph accurately. 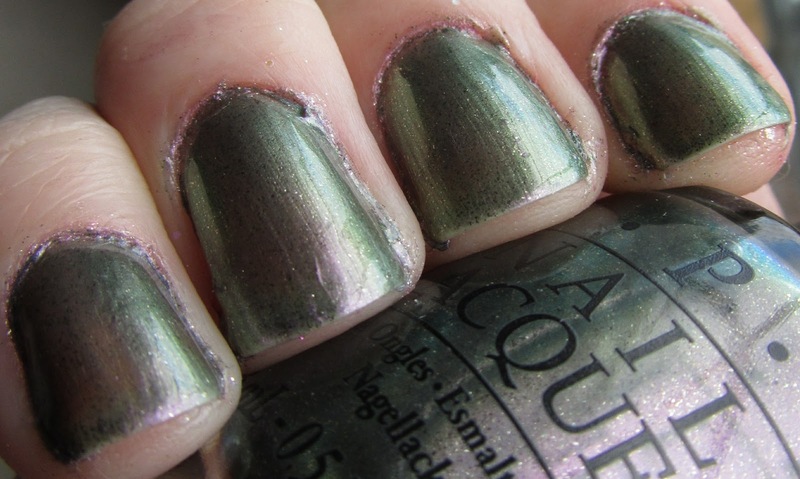 This was four coats, since it was pretty sheer, to get a more opaque look on its own. 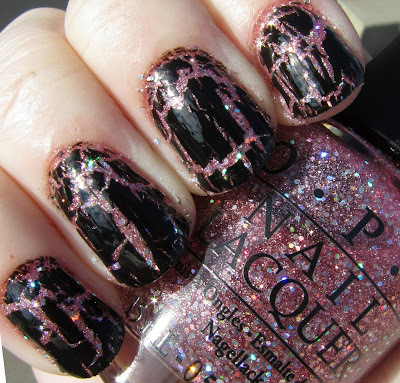 It had very nice application for a sheer glitter as well. I was really impressed with this polish! I am excited to use it for layering at some point, I think that will be really nice. Becky also got me another Canmake glitter that I plan on wearing soon, as well as a few other new international brands I am excited to try! I love the name of this polish - I feel that it fits me perfectly, hah hah. ;) It is gorgeous, too! For these nails, I started off with three coats of China Glaze Exceptionally Gifted, which is a medium pink, frosty polish with little flecks of sparkly goodness! I love this color a lot - the little glitter particles really add something to it that other frosty colors like this don't have. 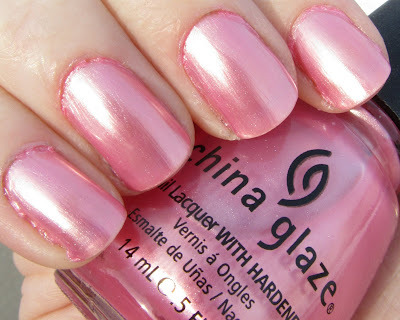 It is also a great pink tone; sometimes it is hard to find that perfect girly, "Barbie" pink but this really fits the bill! It does have a tendency to show a hint of brushstroke, but careful application really helps that and it only seems to show up in bright direct light, anyway. Here are a couple of shots of the color by itself. 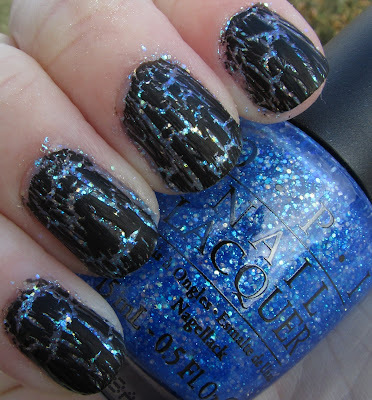 Outdoors, direct sun - enlarge to see the glitter! Dan and I celebrated our second Anniversary last month. 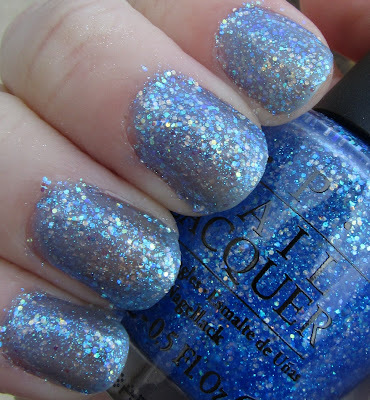 I borrowed one of Becky's new polishes that fit the day perfectly - OPI Happy Anniversary! I added the image with Konad plate m64 and Konad Special Black. I wore this for our Anniversary date to watch Tron in 3D at the AMC Fork and Screen, where we ate some really yummy food while watching the movie. 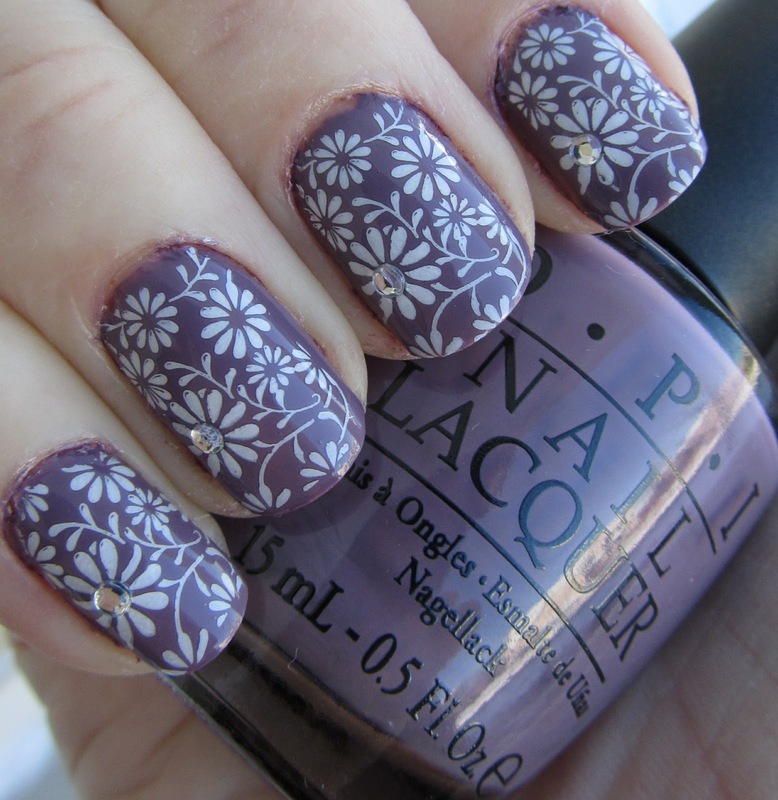 A very pretty manicure for a very special day! One of the new spring 2011 collections from Nicole by OPI, the Liquid Metals collection contains four metallic foil polishes with confidence-inspiring names! 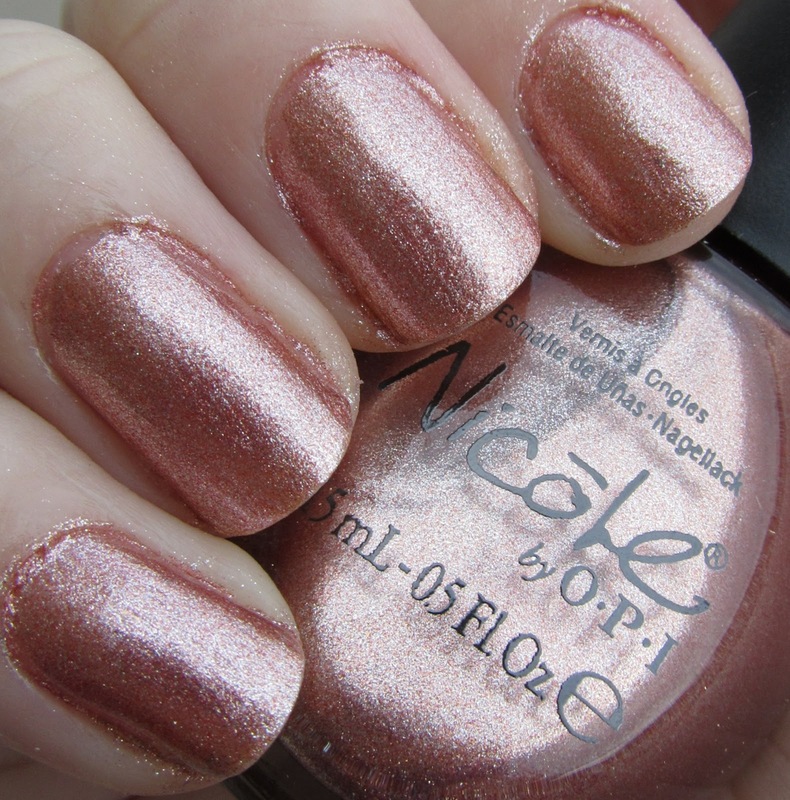 This is a really nice muted copper color with the same metallic foil finish as the rest of the collection. Again, great application - two coats and no streaks! 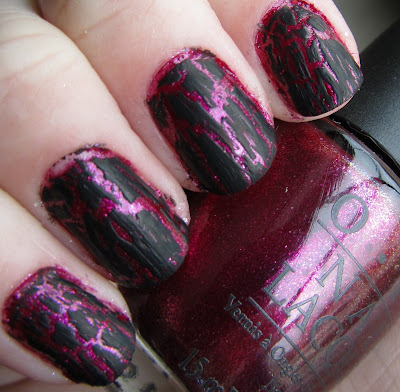 Sometimes these foil polishes can be very streaky but I did not really find that to be an issue with this collection. 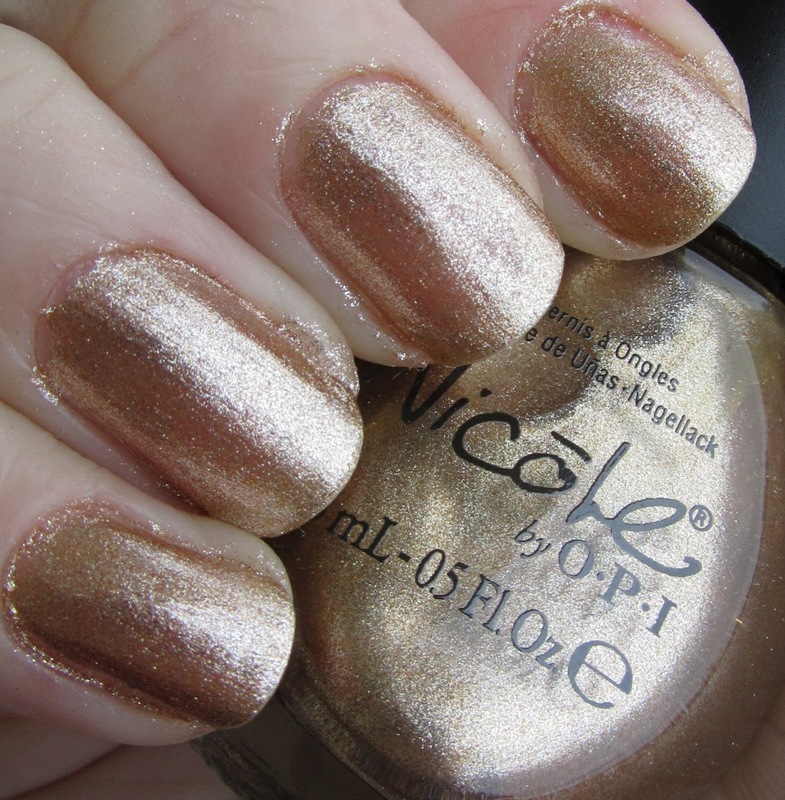 A light gold metallic foil. 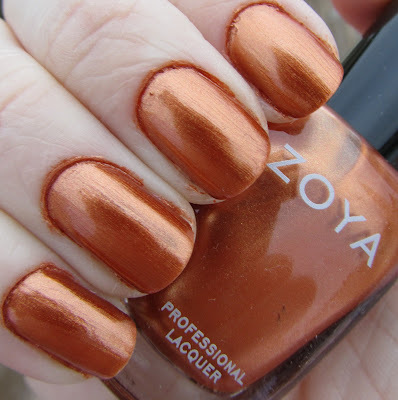 While I used two coats on this one as well, this polish may have benefited from a third coat, as I found it a bit more sheer than the others. However, application was otherwise great. This is a nice subtle color. 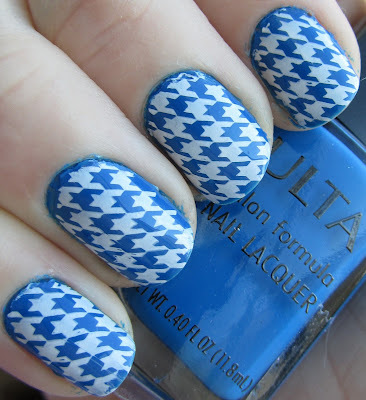 This is probably my favorite of the collection, but then again blue is my favorite color! 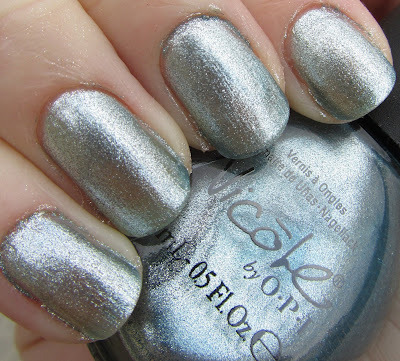 This is a silvery light blue with metallic foil finish. 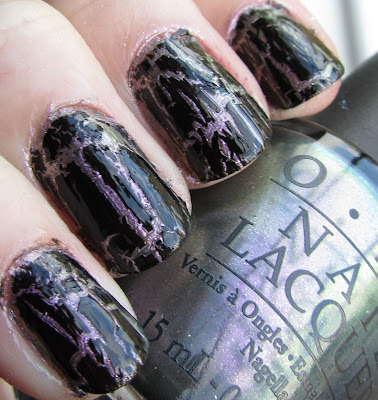 This is two coats, but like The Next CEO maybe could have used a third coat. Same smooth application. 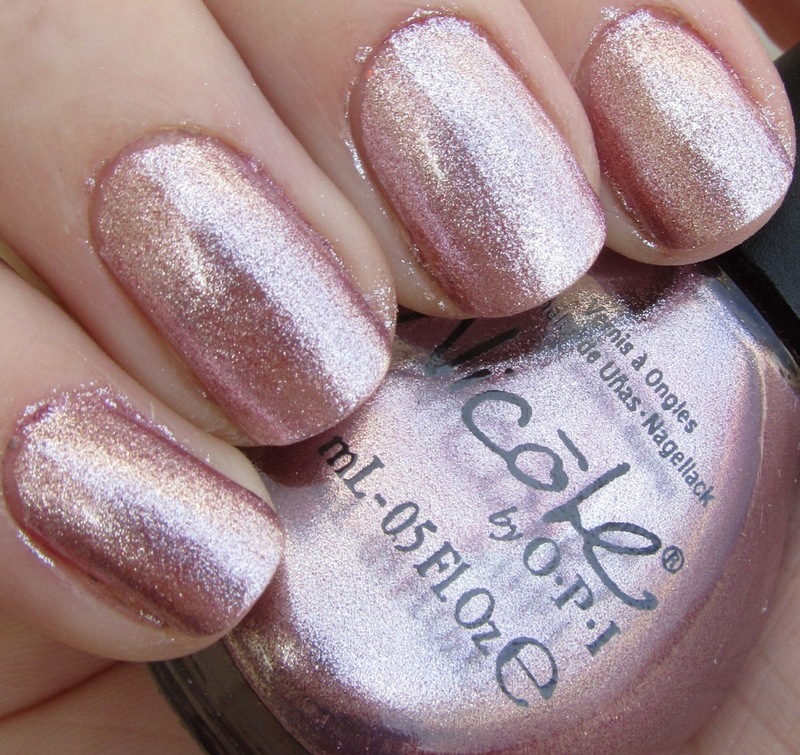 Although this was not one of the new collections I was initially super excited for, I actually love these polishes a lot. They are soft and kind of romantic. I love the metallic foil finish, it is gorgeous to look at on the nail, and it is nice to find foils that are not super streaky! 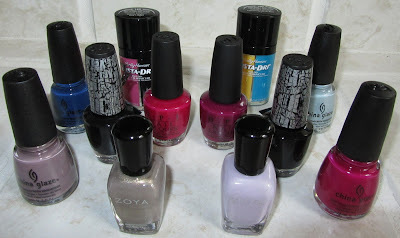 I would highly recommend these polishes if you do not already have something like this, especially with the nice formula. My favorites are Rich in Spirit and Miss Independent, but the other two are also gorgeous. Overall a really nice collection!